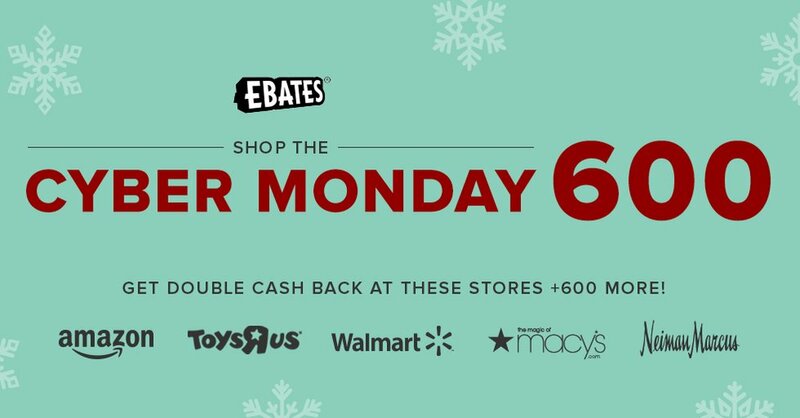 When you think of points earned from credit cards, you generally think of free flights or cash back. 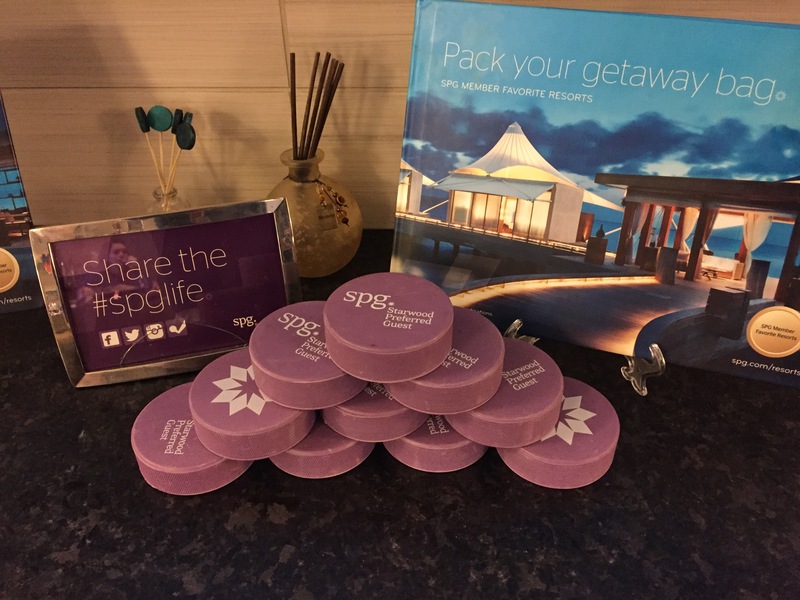 But with SPG Moments, your Starwood Preferred Guest points can reward you with great experiences as well. The Moments program gives SPG members VIP access to concerts, culinary experiences, premier sporting events and more. 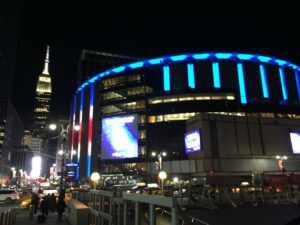 Starwood has luxury suites at New York’s Madison Square Garden, the STAPLES Center in Los Angeles, and the O2 Arena in London. You can purchase or bid on events at these and many other venues using your SPG points. 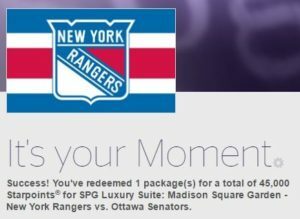 I recently purchased an SPG Luxury Suite New York Rangers package and I’d do it again in a heartbeat. For this VIP Experience, I brought my oldest daughter along with me. 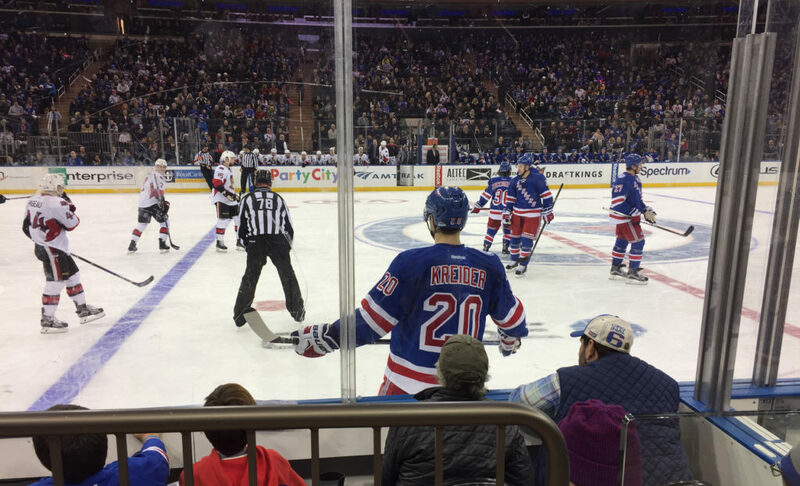 She was born in 1994, just a few weeks after the New York Rangers won their last Stanley Cup. Like her father, she’s a true Rangers fan. I had been promising to take her to a game this season anyway–I think I more than delivered. 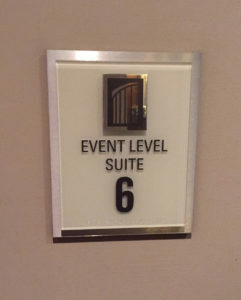 The suite opens 1 hour prior to the start of the event. 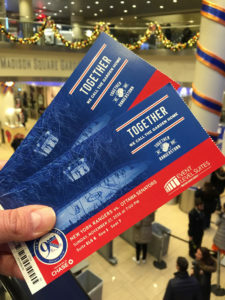 We arrived about 30 minutes before game time and entered through Madison Square Garden’s South VIP Entrance to pick up our tickets at the will call desk. We were directed up a nearby escalator, then to an elevator up to the 5th floor. After following a few signs leading us down some corridors filled with artwork of events that have taken place over the years at the Garden, we arrived at the suite. 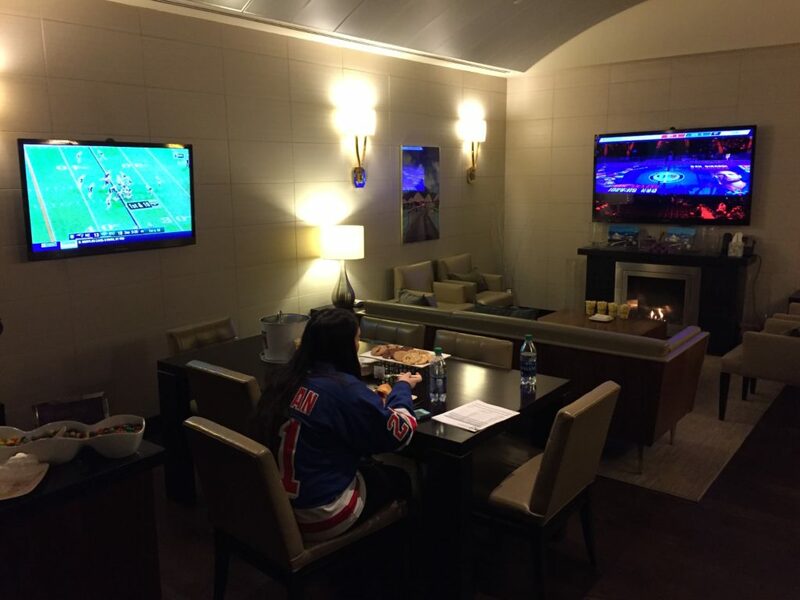 Madison Square Garden Starwood Event Level Suite. The suite is very attractive with a barrel vaulted ceiling, 2 flat screen TVs, a fireplace, a sofa and chairs, a dining table, a bar with an attendant, closet and private bathroom. There were hot and cold foods with plenty of choices, from small sandwiches to cheese raviolis. Snacks included cookies, M&Ms, popcorn and potato chips. Beer and wine service began 15 minutes prior to the start of the game, but there were soft drinks and bottled water available before that. 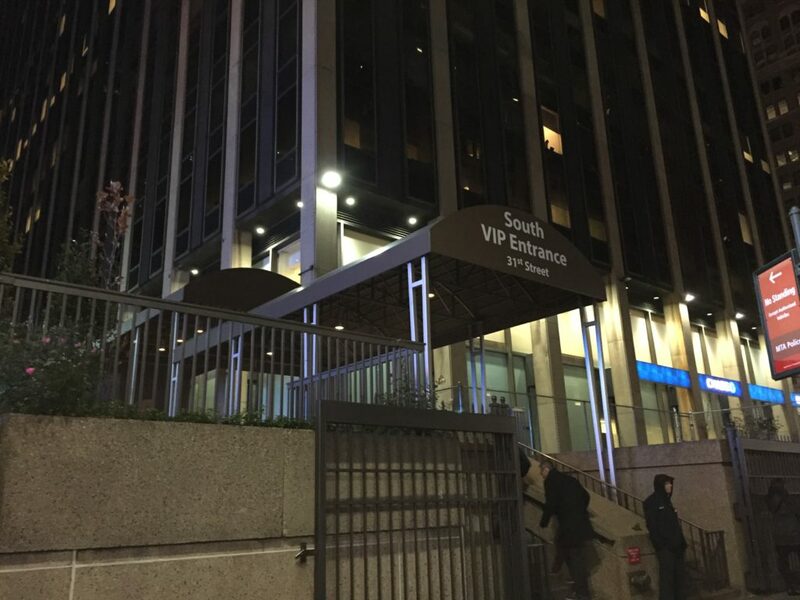 The Event Level Suites at Madison Square Garden are located under the lower bowl of seats on the south side of the arena. 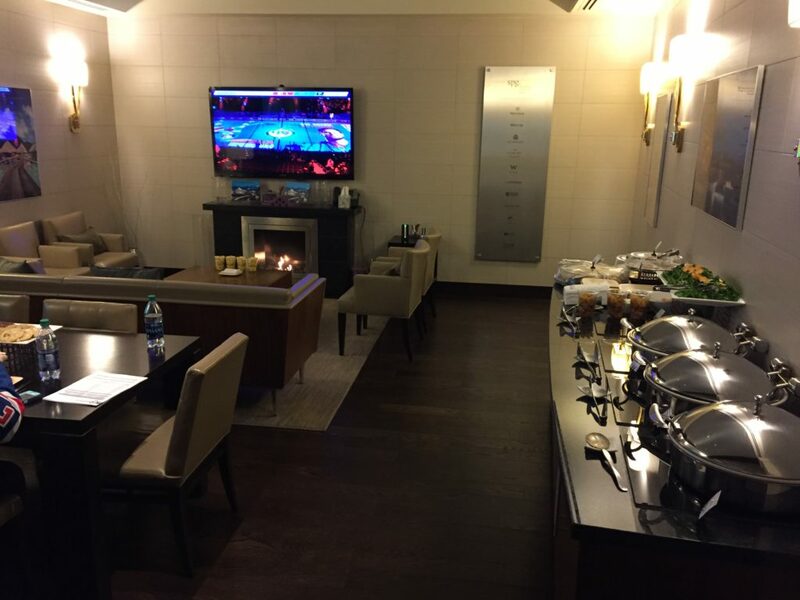 There is no view of the ice/court/stage from within the suite itself. You have to take a short walk down a hallway to get to your seats. 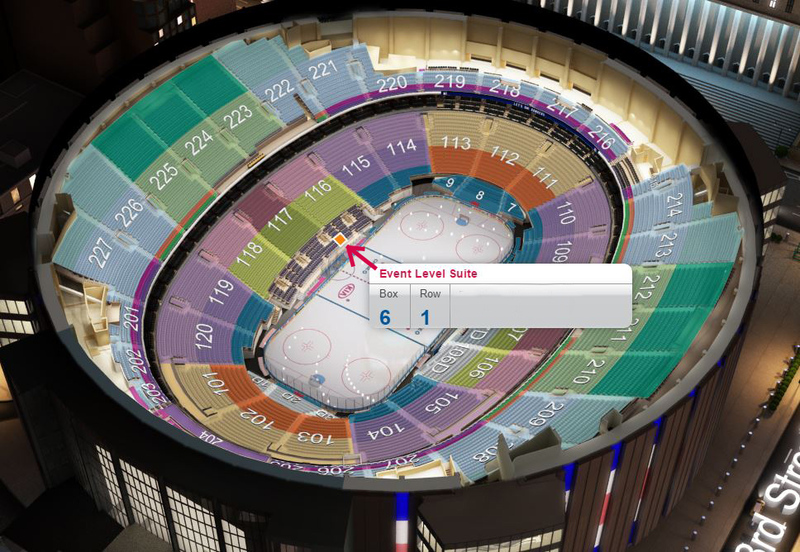 The image below shows you where the seats are–the Event Level Suites are underneath sections 116-118. 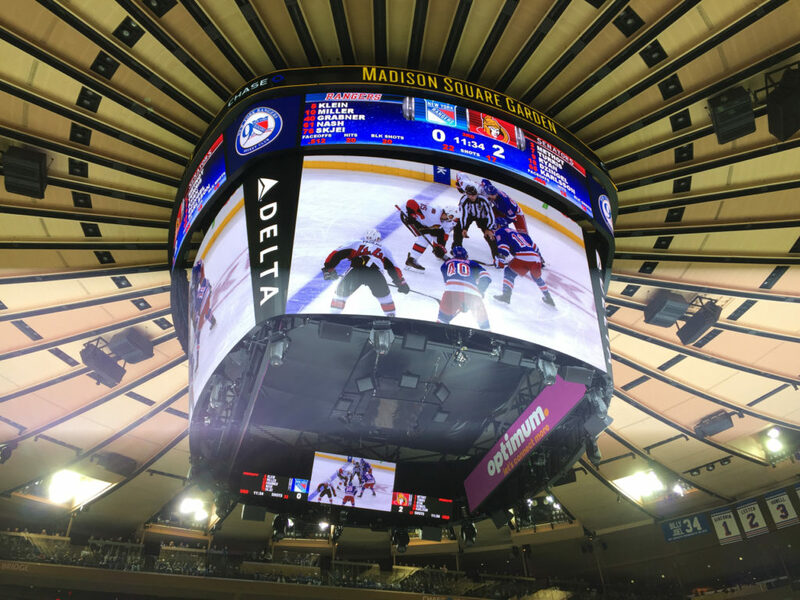 Our seats were in the front row, virtually at ice level. Here’s the view. By coincidence, also in the Starwood suite that night was Brian Kelly aka The Points Guy. It was fun having an opportunity to talk shop with Brian for a few minutes during the game. There are a number of ways you can collect SPG Starpoints to experience a similar VIP event. The obvious way is by staying at Starwood properties, but that would require a lot of long stays. A much quicker way is by applying for the right credit cards. 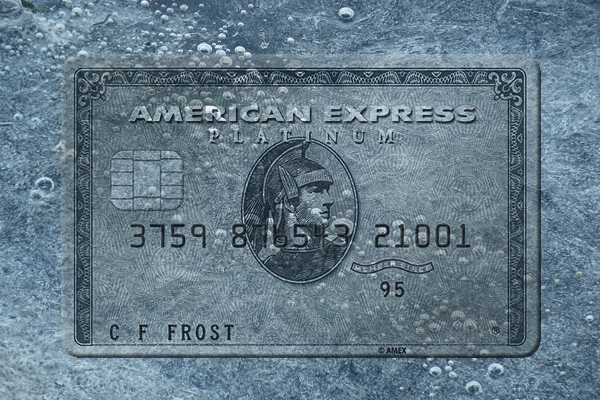 The American Express SPG Card or the business version of the card earn SPG Starpoints with every dollar you spend. 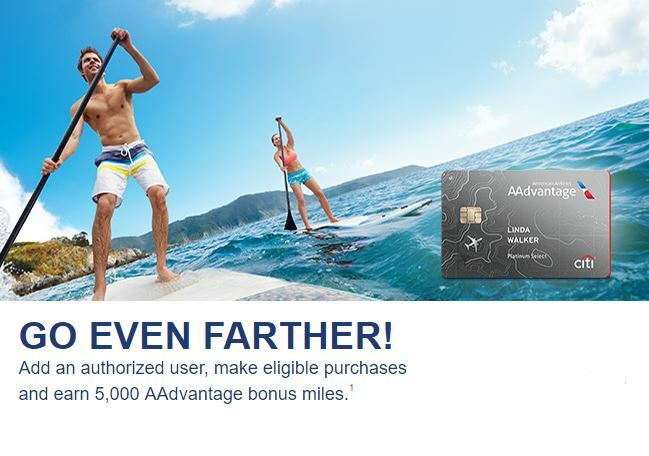 The signup bonuses for these cards are each typically 25,000 points, but are occasionally higher. 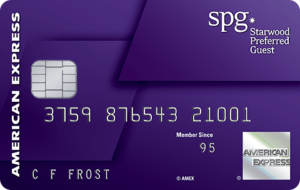 If you have American Express Membership Rewards points, you can transfer them to SPG at a rate of 3:1. Since the Marriott and Starwood merger, you can also transfer Marriott Rewards points to SPG at a rate of 3:1. 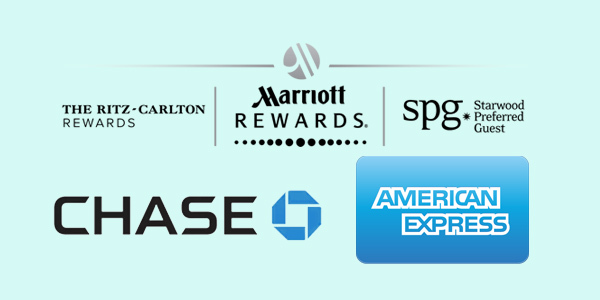 Lastly, Chase Ultimate Rewards points can be transferred to Marriott at 1:1, which can then be transferred to SPG (3:1). If you can’t figure out a way to spend the 100,000 UR bonus points from your brand new Chase Sapphire Reserve, turning them into 33,333 Starwood points is now an option. This was a great experience overall. So much so, that I already look forward to doing it again. 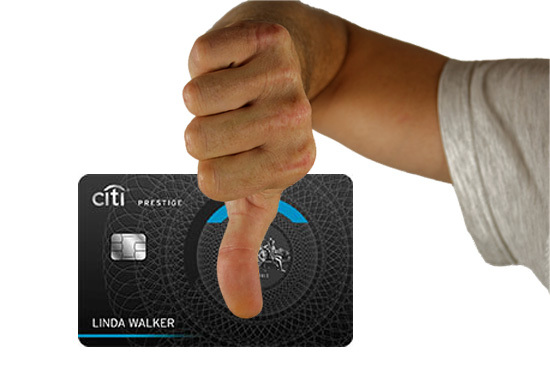 Like many others who collect credit card points, I’m often guilty of trying to extract the best possible value for them. When redeeming Starpoints for this event, I was able to look beyond the numbers and just enjoy the Moment.